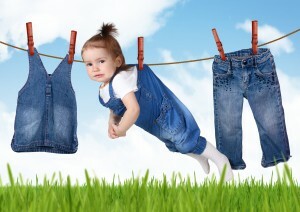 Do laundry and dry cleaning myths live up to the reality? Put an end to your doubts, finally, and care for your clothes correctly! In this post, we want to show that some myths you heard before are in fact not working. Why people create them is one question, but why they become popular and people believe them – is another. We reckon because people don’t know or haven’t been advised of the best care. We will not only explain how you should look after your clothes, but also tell you what will happen if you don’t! Overwashing clothes or washing them when they’re not actually dirty is a common error, so we recommend to do this in accordance with the needs of your life, common sense and consideration for others (read: smell). Yes, wash ’em, even if you’ve a secret double life? If you’re money-conscious, it is more efficient to use your washing machine from 11pm to 6am (leccy is cheaper during this time). Now, we didn’t suggest that you wage a war against your neighbours, should you set your machine to work at this time. For the environmentally focused lot, it is ever so important to recycle-wear clothes (wear a garment again without washing it) and reduce the use of washing machine. Good news is, nowadays, many washing machines display an Energy Label with grades for efficiency that helps consumers make the right choice when buying more efficient washing machines. To re-cap, remember just one thing: your privates and workout clothes SHOULD be washed every time you wear them! The rest can be washed after you’ve worn it several times, e.g. jeans can be worn a few times without washing if they aren’t stained. If you want to find how clean you are by your laundry habits, take our quiz. To use, or not to use, that is the question? 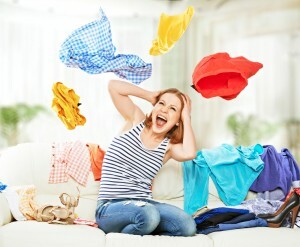 Undoubtedly, using a fabric softener (conditioner) when washing will result in fluffier and smoother clothes and improving their appearance (its solvents make fibres in the fabric feel softer and help the colour appear more vibrant), but adding fabric conditioner to the laundry will actually make the fibres more susceptible to damage as it leaves behind a coating that, over time, will render the fibres of your clothes more impenetrable to water and detergent. 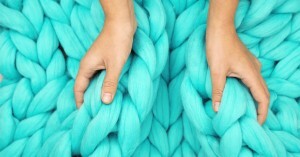 Check our blog post on why you shouldn’t use fabric softener. Cashmere, silk, and polyester are commonly known as fabrics that should only be dry cleaned, but these fabrics are actually fine to wash in the washing machine. Instances when these shouldn’t be washed is if the item is made with a special dye or delicately constructed. Again, follow the care label. Check out our guide on laundry symbols for more help. Not exactly true, so long as you note whichever items you need to clean in your machine. Just make sure to check their care labels before you clean them and to air dry them after, instead of tumble drying, to prevent shrinking. If you do end up shrinking your clothes and then shrieking like Wayne Szalinski, “Honey, I shrunk the ki[T]s”, there’s Laundrapp’s advice how to un-shrink your clothes to the rescue. As usual, read the care labels on your clothes, and if you’re prompted to lie them flat, then definitely avoid drying your clothes on a wash line as hanging will inevitably stretch out their fabric. Drying your clothes on a hanger will also cause damage leaving a hanger mark on a fine and fragile knit. I reckon my daddy has a bit of a hang-up about his way of doing the laundry? If you are tumble drying the clothes though, we recommend not to leave them there until they are completely dry; instead, take them out and air dry while still a little damp to allow the moisture to evaporate gradually. What if we tell you that they actually can? The latest official stats indicate the average washing machine’s lifespan is now just over 7 years, but it might be cut short if a bra underwire damages your machine when it gets stuck in the drum. This really doesn’t need an explanation – make your washing machine last longer by hand washing your bras rather than machine washing (after every 2-3 wears). The same goes for tumble dryers – always hang your bra to dry and never tumble dry it unless you plan on never wearing it again! Need more tips on how to treat your bosom friends, read our bra bible. Still can’t make out what are myths and what – reality, then use professional laundry and dry cleaning service that comes to your door by downloading our award winning app from Google Play or the Apple App Store. If you have any care tips, hacks and tricks, share them with us here!